TV needs experts. But, there is nothing duller than a serious expert espousing boring data. Whether you are a therapist, a scientist, or a researcher, you could benefit by being funnier. When Dalia Mogahed, a research analyst on Muslim issues, came to me for coaching, she was seriously humor impaired. She had an important message about Islamophobia but her speech with charts and graphs was putting audiences to sleep. She came to me for coaching where I taught her 5 Simple Steps to Getting Laughs. Her next speech was a hit and because she could speak about a serious topic with humor, she then got invited to be on The Daily Show with Trevor Noah. We continued working together getting her message and laughs ready for her national TV appearance. 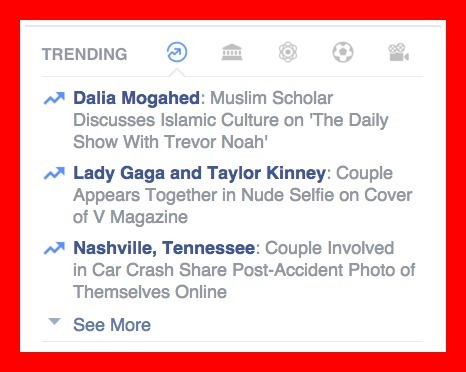 Her appearance on The Daily Show with Trevor Noah was a hit and since then has gone viral topping even Lady Gaga. Watch her appearance here and see if you can identify the comedy techniques we used. After a joke, don’t step on your laugh, but rather force a reaction by sticking your hands out towards the audience, nodding your head, as if to say, “Am I right?” “Don’t you know it?” Smack! You’ll get more laughs being serious and then surprising the audience with an unexpected turn. When coaching Dalia for her TV appearance I wanted her to get a laugh right at the beginning. So, when Trevor said, “Welcome to the show.” Dalia said, “I’m so excited to be here, I’m a big fan of yours… But I’m also just as excited anytime I clear security and arrive anywhere I travel.” Bam! Shock doesn’t have to be sexual, but rather something unexpected. If you are uncomfortable saying something shocking, you can always attribute it to another person so it doesn’t diminish your credibility. When Dalia Mogahed said in her speech, “I have to tell you that this is my first time putting some humor into my talk. I was really nervous ’cause I’m a researcher… I get paid to be serious. So I asked my friend, comedian Judy Carter, ‘Judy, what if I tell a joke and nobody laughs?’ And she said, ‘Well, it’s not like it’ll be the first time they see a Muslim bomb.’” She got the laugh, and I got the credit. WooHoo! “I was hanging out with my little nephew, and the kid – he had a helmet, shoulder pads, knee pads, some shin guards, gloves. And he’s saying, ‘I’m going to ride my bike.’ I’m like, ‘Where – through a mine field?’ Bling!! Joking about something obvious about your appearance is a great way to get laughs. 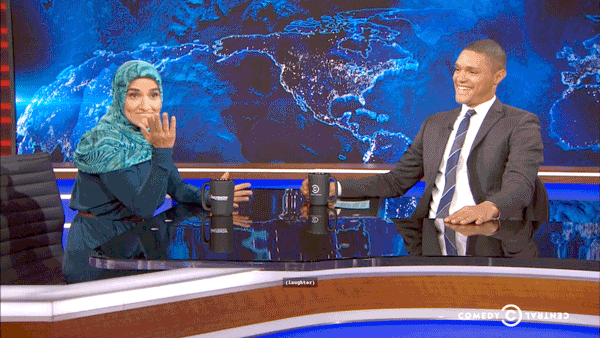 Since Dalia Mogahed is a Muslim who wears a hijab, when Trevor Noah asked her why she wore a head covering, she slowly and seriously setup the joke by beginning, “The main reason [Muslim women] dress this way is because I never have to have a bad hair day.” And The Daily Show audience went crazy. Shaboom! Dalia Mogahed has now been invited to do a TED talk.